This is one of the first things I work on with my perinatal clients, as it’s often overlooked. Many doctors don’t specify what kinds of nutrients are necessary to supplement, which forms of these nutrients are most absorbable, or the recommended dosage of each. Supplements are unregulated, and can vary wildly in terms of their content, so it’s important to ensure you’re getting high-quality, bioavailable nutrients so that you’re not wasting your money. In addition, many of my clients get incorrect information about what they need during this unique time in their lives. For example, contrary to popular belief, the RDA for calcium does not increase during pregnancy, but stays constant at 1,000mg for all women aged 19-30, regardless of whether they are pregnant or lactating. Of course, theoretically, we should be able to get all our nutrition from our food. And if you’re eating lots of clean, whole foods like organic vegetables and pastured meats, a supplement may feel redundant. However, I still recommend that all my perinatal clients take one (see why here). That said, the healthier you eat, the more flexibility you may have in terms of the dosage of your supplement (perhaps you may feel safe taking half the recommended dose). 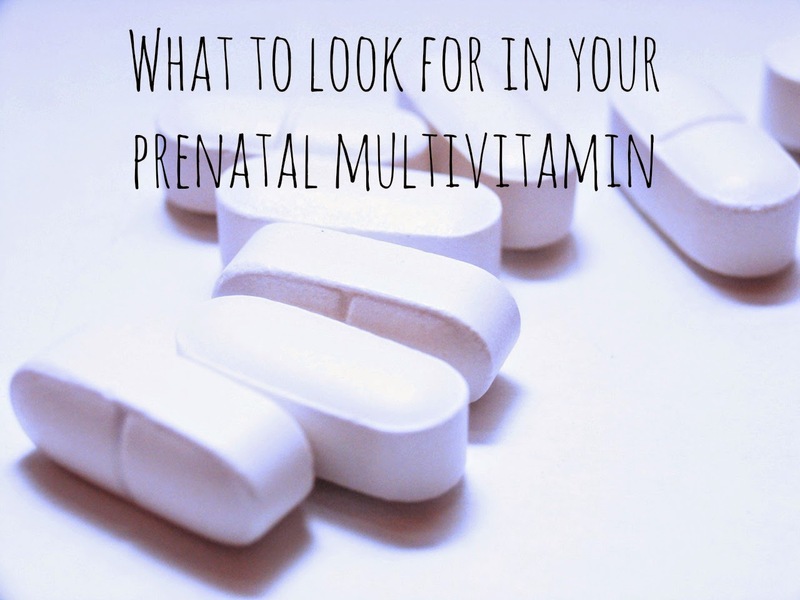 With that in mind, here is my guide to ingredients and dosages, as well as a recommendation for my favorite prenatal supplement (and where to buy it). Perhaps the single most important nutrient for moms-to-be, folate requirements nearly double when you become pregnant1. Supplementation pre-conception prevents spina bifida2 and, potentially, autism3. For this reason, it’s important to start taking a supplement well before you get pregnant. However, there are some very important distinctions between the natural form of Vitamin B9 (folate) and the synthetic form that’s commonly found in fortified foods & supplements (folic acid). Up to 50% of the population has a genetic mutation preventing them from metabolizing folic acid. In addition, folic acid has been associated with cancer, maternal infection, and abnormally slow fetal heart rate (4). Therefore, you must look for the L-5-MTHF form. If you’d like to get more folate from your food, you can add more green leafy vegetables, black-eyed peas, brewer’s yeast, liver, and beans to your diet. Supplementing with folate can obscure a B12 deficiency, so if you’re going to take folate, I highly recommend supplementing with B12 as well. Look for the methylcobalamin form, which is more easily absorbed and used than the cyanocobalamin form. In foods, Vitamin B12 is only found in animal products. B-vitamins work in concert with one another, and the Daily Recommended Intakes for almost all of them rise during pregnancy, so the best option is to choose a multivitamin that provides all of them together. 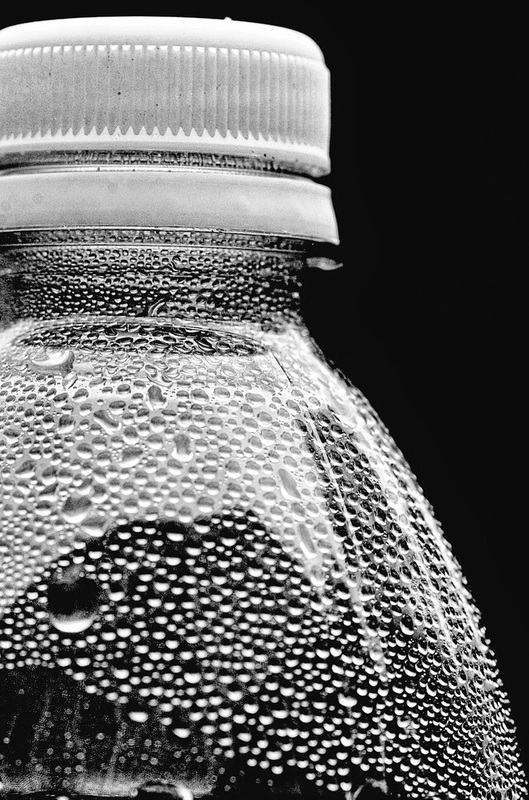 In terms of dosages, B vitamins are water soluble, which means that they flow easily throughout the body. Most B vitamins do not have an upper limit due to lack of evidence of adverse health effects. Insufficient B vitamins may be associated with morning sickness, so supplementing may help alleviate symptoms. B-vitamin food sources include nutritional yeast, yogurt, peanuts, and organ meats. The Recommended Daily Allowance for magnesium increases to 350mg per day when you’re pregnant, depending on your age (if you’re over 30, you require 360mg). Look for a chelated form, such as magnesium citrate or glycinate. Magnesium helps build & repair tissues and is necessary for protein formation & cellular replication. Deficiency is associated with preeclampsia and poor fetal growth. Excess calcium intake can also reduce the absorption of magnesium, since they are mineral partners that need to be balanced1. To increase magnesium in your diet, eat pumpkin seeds, sea vegetables, almonds, cashews, brewer’s yeast, and leafy greens. Zinc is an antioxidant mineral and is important for protein & DNA synthesis. Deficiency is associated with miscarriage and low birth weight. Food sources include oysters, steak, and pumpkin seeds. The RDA for Zn increases from 8mg to 11mg when you’re pregnant. In supplements, look for chelated zinc, such as zinc glycinate, zinc picolinate, and zinc citrate. Zinc’s mineral partner is copper, so they must be in balance. Therefore, it is often recommended to take supplemental copper (at a ratio of 1 to 10) if you take supplemental zinc4. The RDA for copper increases to 1000mcg/day when you’re pregnant, so that's another good reason to look for copper in your prenatal multi. Selenium is a powerful antioxidant that can be found naturally in Brazil nuts. The RDA increases from 55mcg to 60mcg during pregnancy. When it comes to minerals, chelated forms are often the best, so look for something ending in -ate, such as selenium glycinate or aspartate. The Adequate Intake (AI) for chromium rises from 25 to 30 mcg/day when you’re pregnant. While the RDAs for some other trace minerals also increase during pregnancy (like molybdenum and manganese), chromium is the only one that you may not be able to get sufficiently from your diet. Therefore, selecting a multivitamin that includes chromium is a good idea. Vitamin A is tricky. Vitamin A deficiency can cause maternal death5, but excessive amounts are not easily excreted and can cause birth defects6. Therefore, getting just the right amount is crucial. Whole foods are by far the best way to get your daily requirements of Vitamin A, as it’s less likely that you will consume toxic levels of Vitamin A through your diet. In addition, the natural forms of Vitamin A found in foods are more likely to be safe than synthetic versions found in some supplements. Carotenoids, the plant-based precursors to Vitamin A, are water soluble and do not cause Vitamin A toxicity. For this reason, when it comes to your supplement, mixed carotenoids are the best choice to avoid toxicity. The RDA for Vitamin A rises from 700 to 770 mcg/day when you’re pregnant. Beta carotene, the best known carotenoid, is found in orange plant foods like sweet potatoes and carrots, as well as dark green leafy vegetables like spinach and lettuce. However, carotenoids can be problematic, as not all beta carotene is converted into Vitamin A7. In addition, it appears that some people aren’t good at converting any beta carotene into Vitamin A8. Mixed carotenoids are a better choice, but they are still not as bioavailable as preformed Vitamin A, because they require conversion. Preformed Vitamin A is found in animal foods like liver, fish oils, milk, eggs, and butter. Adding these foods to your diet in moderation - along with your orange veggies and a supplement containing mixed carotenoids - is what I recommend in order to reach a healthy Vitamin A intake. The RDA for Vitamin C increases to 85mg/day when you’re pregnant. Vitamin C is another great antioxidant, and it’s water soluble so toxic buildup is unlikely. That said, excessive amounts of Vitamin C (> 2,000mg/day) “may contribute to the formation of kidney stones, as well as cause severe diarrhea, nausea, and gastritis”9. While most of us think of citrus fruits when we think of Vitamin C food sources, bell peppers, broccoli, and brussels sprouts have even higher concentrations of Vitamin C.
There is no recommended daily amount for these nutrients, but studies show that they are crucial for baby’s health. Most experts recommend intake of 400-650mg DHA and 650-1200mg EPA11. You can get this through eating fish, or you can take a purified supplement like OmegaGenics or OmegAvail, both available in my store. Iron requirements rise from 18mg to 27mg per day during pregnancy, as it’s required for the production of red blood cells and DNA. Even slight iron deficiency can lead to learning disabilities in your developing child. However, iron is not easily excreted, and can contribute to free radical activity. For this reason, I don’t recommend supplementing with iron unless your doctor deems it medically necessary. Instead, try to get heme iron (the most efficiently absorbed type) from animal food sources like clams, steak, shrimp, turkey, and chicken. Lentils are a good non-heme iron source for vegetarians. Iodine deficiency used to be a problem in the US, and was largely rectified by iodizing salt. Nowadays, supplementation isn’t usually necessary, and due to complexities surrounding the effects of iodine intake, it also usually isn’t recommended. That said, when you’re pregnant, your RDA for iodine rises from 150 to 220mcg/day, so you do need to be aware of your intake. In addition to iodized salt, the ocean is an excellent source of iodine, so sea vegetables and seafoods are a great way to get iodine through your diet. Dairy products are also a good way to get sufficient iodine through your diet. The RDA for Vitamin D doesn’t increase during pregnancy, but since deficiency is common, it’s often included in multivitamins. Look for the cholecalciferol form (D3), as D2 isn’t nearly as absorbable or beneficial10. Your need for Vitamin E doesn’t increase when you’re pregnant, but most multivitamins include it in some form nonetheless. The best form is mixed tocopherols, although I rarely see that in supplements. Murray, M., Pizzorno, J., & Pizzorno, L. (2005). The Encyclopedia of Healing Foods. New York: Atria. Hudson, T. (2008). Women’s Encyclopedia of Natural Medicine. McGraw Hill: New York. When it comes to weight loss, cutting back on calories has been the go-to strategy for decades. In order to lose weight, you just need to eat less and exercise more, right? If you’ve ever tried counting calories yourself, you know that it’s nearly impossible to maintain. And the proof is in the pudding: the US is now facing an obesity epidemic, despite these well-known recommendations. 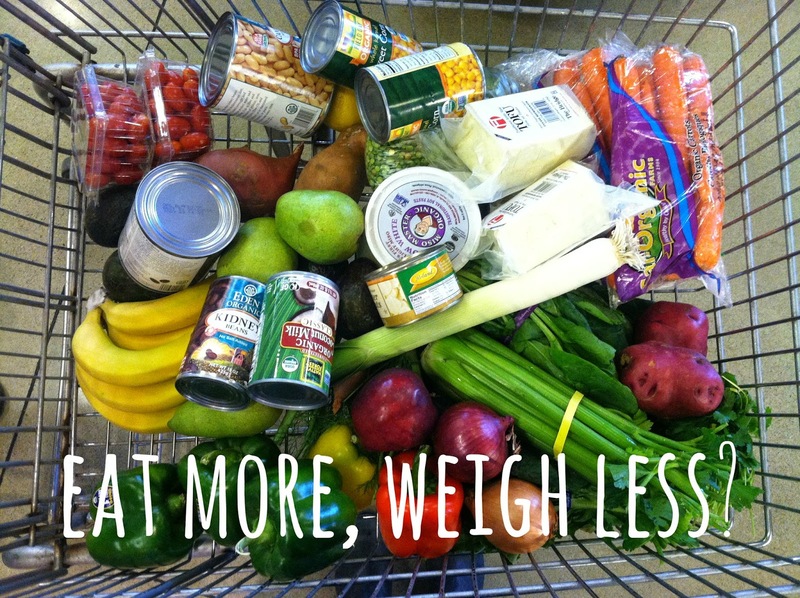 It seems to make sense on the surface: eat less, weigh less. So why doesn’t it work? Well, when it comes to eating, not all calories are created equal. Our bodies digest different foods in different ways, some of which are more prone to fat storage. In addition, calories aren’t usually the problem in the first place. Nearly all of the clients I coach for weight loss are already eating fewer calories than their Basal Metabolic Rate (BMR) when adjusted for activity level. According to the conventional recommendations, this means they should be losing weight - but they’re not. Finally, calorie restriction doesn’t take your satiety into account. If you’re hungry and you don’t eat enough, your body will do what it needs to do to protect against starvation - it’s a simple survival mechanism. Hunger will win every time. In many cases, the most effective weight loss strategy may actually require you to consume more calories. But instead of focusing on the quantity of calories, it’s important to focus on their quality. For example, refined carbohydrates spike blood sugar and insulin levels, signaling the body to store the excess blood sugar as fat. Complex carbohydrates, clean proteins, and healthy fats, however, don’t provoke a dramatic insulin response, and therefore the body has a better ability to convert them into energy or muscle. When we shift our diet accordingly, we can eat more calories and still lose lots of weight. In addition, snacking is crucial to weight loss. If you’re hungry, your blood sugar is lowered, and your body craves quick energy that will raise blood sugar immediately - like refined carbs. Snacking helps stabilize your blood sugar throughout the day so you don’t reach for that cupcake at 3pm. When we approach eating this way, we have more energy and better control over our mealtime decisions. It’s a more delicious, satisfying, and enjoyable dining experience than portion control and restriction. And better yet, we have a better chance at keeping the weight off for good. Need help changing your diet and balancing your blood sugar? Check out The Last Diet, or work with me one-on-one. Progesterone works in partnership with estrogen throughout a woman’s cycle to prepare the uterus for conception. Estrogen is the dominant hormone during the first part of a woman’s cycle (the follicular phase), while progesterone is the dominant hormone during the last part (the luteal phase). The two hormones must be in balance to achieve optimal health. If you’ve been charting your cycles, you can see where progesterone takes over - it’s responsible for the rise in your temperature. Not sure if you have low progesterone? Check out Katie Singer’s book The Garden of Fertility for tips on how to read your charts to find out whether they might indicate low progesterone levels. Low progesterone is quite common. It’s actually not surprising when you consider that estrogenic compounds are everywhere nowadays - in our environment, food, plastics, personal care products, and more. And the higher estrogen is, the more progesterone we need to be in balance. Cut out dairy. One Harvard scientist & physician found that dairy accounts for 60-80% of estrogens consumed! Go organic. Minimizing pesticides and hormones in your food can help avoid estrogen overload. Eliminate other estrogenic compounds. Stop eating phytoestrogens like soy (click here for food sources), and stop using plastics and personal care products that could leach xenoestrogens (click here to find out where they’re lurking and how to avoid them). Stop eating sugar and refined carbohydrates. Consumption of refined carbohydrates can indirectly exhaust your adrenals, suppressing progesterone1. If further supplementation is required, you might ask your doctor about natural or bio-identical progesterone from a compounding pharmacy. 1. Singer, K. (2004). The Garden of Fertility. New York: Avery. As most of you know by now, I'm mildly obsessed with 101cookbooks.com. Every recipe is delicious, and the presentation is documented so artistically - I just love it. Most of her recipes are pretty easy, but I usually either try to figure out ways to simplify them further. This is an example of one of her pretty easy recipes made even easier. Another thing I love to do whenever possible is make things in bulk and then dress up the leftovers - this is a perfect recipe for that. Heat large skillet over medium-high heat. Add a generous pour of olive oil - enough to coat the pan. Add beans and saute until lightly browned. Add kale and stir until bright and wilted. Transfer kale & bean mixture to bowl. Add rice and stir to combine. Crumble feta into the mixture and stir to combine. In a small pan, heat about 2 inches of filtered water until steaming but not bubbly. Carefully crack an egg into a ramekin and gently pour into the hot water. Repeat with remaining eggs. Cook for a few minutes - when whites are set, poach another minute or so and remove eggs with a slotted spoon. Divide rice mixture onto 4 plates and drizzle with olive oil. Top each portion with a poached egg and sprinkle with jalapeno flakes. Mangia! My first green smoothie of the week … yummmm! I'm not kidding! Sometimes it's just that easy. As many of you know, I already feature smoothies in most of my menu plans, but in the craziness of our move to New York, I had gotten away from drinking them lately. Have you ever noticed that reminders seem to come at exactly the right time? We have been busy making friends in our new hometown. Saturday we went out for cocktails with some new friends who also happen to be 10 years our junior. Needless to say, I woke up on Sunday in the mood to detox! The Summit lecture I watched that day (from the couch!) touched on the concept of switching to green smoothies for breakfast, and how that small change can reduce all sorts of health hazards. It's important to note that they were talking about smoothies, not juices. While juices contain many of the same nutritional benefits, they are missing one important ingredient: fiber. Fiber is what slows down the absorption of sugar into the bloodstream, which is important for preventing blood sugar spikes (and potentially, gestational diabetes and other blood-sugar-related health issues). Depending on what you put in them, green smoothies are excellent detoxifiers. They can also be quite nutrient-dense. This makes them a great choice for reproductive health and pregnancy! Plus, they're super-easy to make. To start, you want about 60% fruit and 40% veggies. What you decide to put in it is up to you, but spinach and romaine are excellent starter veggies because they are less flavorful and more easily blended than some hardier greens. Optional power boost: dump a tablespoon of the juice from naturally fermented sauerkraut or pickles into the smoothie for some probiotic punch! Pour water into blender (I love my Vitamix). Add other ingredients and blend to a smoothie consistency. Serve! Drink slowly and mindfully. You can see how easy it is to just keep adding yummy stuff to your smoothie. Experiment and see what you come up with using the 60/40 formula above and adding in fresh herbs, spices and "boosters" to increase its nutritional value. I'd love to hear about what your favorite combination is - tell me on the Facebook page! A note for women suffering from hypothyroid: Most raw leafy greens are goitrogens, that is, they block thyroid function. If you are hypothyroid, you can avoid this effect by steaming or sautéing your greens before adding them. They will lose some of their nutritional value in cooking (mostly Vitamins C and B, including folate), but much of it will remain, including important minerals like iron. I had been feeling a bit sluggish and down since our cross-country move. At first, I thought it was diet-related - it's not as easy to get fresh, healthy food on the East Coast as it was in San Francisco. But after a few months of clean eating, I felt only marginally better. I started exercising more, but that didn't help much either. So, it was off to the doctor's office to see if we could figure out what was up. I got my results back and was jaw-droppingly shocked to find out that I had hyperhomocysteinemia (too much homocysteine). Homocysteine is a byproduct of protein metabolism that can wreak total havoc on our health. Symptoms of high homocysteine range from depression to Alzheimer's Disease to serious cardiovascular issues to osteoporosis to Down's Syndrome and more. It typically results from diets too high in animal protein and too low in B vitamins (found in legumes and dark green, leafy veggies). Now, considering that I had just finished a fertility program designed to be particularly high in folate and other B vitamins, and leafy greens are a part of my everyday diet, that seemed impossible. Up to 50% of people have a genetic mutation that limits or prevents their absorption of folic acid (MTHFR). This is one of the reasons why I recommend against supplements that use folic acid instead of folate. But if you have the genetic mutation, even if you're eating a folate-rich diet, additional supplementation with the naturally absorbable form of folate (5-MTHF) is needed. You all probably already know how important folate status is during pregnancy. Deficiency in the early stages of pregnancy can cause neural tube defects like spina bifida. That's why it's essential to get enough folate before you conceive. How much is enough? 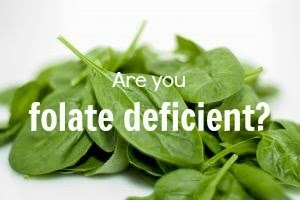 It is difficult to consume too much folate. In fact, one of the only concerns about excessive folate intake is that it can mask a B12 deficiency. If you're already taking a good prenatal multi that includes the methylcobalamin form of B12 (as found in the prenatal supplements that I carry), you shouldn't need to worry about that. With that in mind, I just added L-5-MTHF capsules to my dispensary on Emerson Ecologics. Head on over to pick some up along with your prenatal multi. To set up your account, you'll just need the code natal3 and my zip code, 11201. Click here to buy products. 3 Ways to Naturally Boost Your Fertility - Easily! It can be hard to conceive naturally. And sadly, the reasons for this are too numerous to list. Often, the root cause boils down to one thing: hormone imbalance. Reproductive hormones are part of the endocrine system, the same system that manages stress and energy hormones. When there is an imbalance in one area, it’s common for the other areas to suffer as well. In addition, everyday products & foods frequently contain “endocrine disruptors” - compounds that act like hormones and can trick the body, artificially inflating or depressing natural hormonal activity. Even your sleeping patterns can affect your fertility: if levels of your serotonin and melatonin hormones are out of whack, it can influence your reproductive hormones. It’s common to feel hopeless when struggling with fertility, but there are many natural ways to take back control. It can even be easy! 1) Reduce stress however you can. Three of the most quick, effective, and free ways are deep breathing, meditation, and exercise. Short on time? Just take a few deep breaths and clear your mind while you’re on the way to work, washing the dishes, or before you fall asleep. Simple AND effective! 2) Reduce exposure to endocrine-disrupting chemicals. A few ways to do this are to filter your water, eat organic, avoid plastics and canned foods unless they’re BPA- and phthalate-free, and don’t put anything on your skin that you wouldn’t eat. (Coconut oil is a great moisturizer, apple cider vinegar works as a toner, and jojoba or sweet almond oil rivals even the fanciest eye makeup removers). Pick one area to tackle, and then try to add a new resolution each week. 3) Get good quality sleep. This means getting at least 8 hours of uninterrupted sleep and sleeping in complete darkness. Even the glow of your cellphone or street lights can affect your melatonin levels. Better sleep means more energy, improved mood, a greater capability to deal with stress ... See how all the other hormones (thyroid/energy, serotonin/mood, adrenal/stress) benefit from a good night’s sleep? Well, your reproductive hormones do, too! If you’d like to learn even more ways to boost your fertility naturally, and become part of a supportive community of like-minded people, sign up for my FREE 14-day Fertility Prep Program at http://primingthebump.com. Throughout history, cultures across the world have partaken in fasts that promote the idea of cleansing. Given the increasingly toxic world in which we live today, periodic detoxification has become even more crucial to health maintenance. Juice fasting in particular is an excellent way to help your body detoxify and heal. A good juice fast consists of a well-selected variety of vegetable, fruit, nut & spice beverages, which give your body an instant boost of minerals, vitamins and phytonutrients. Detoxification requires B vitamins and antioxidants like Vitamin A, Vitamin C, and Vitamin E, so a good cleanse program will include these crucial compounds. A wonderful time to try a fast is after the indulgent holidays. We may not to be able to completely undo our sweets and cocktails, but taking a few days to cleanse can detoxify and rebuild our nutrient profile. Now that’s a resolution you’ll actually want to keep. **Murray, M. & Pizzorno, J. (2012). The Encyclopedia of Natural Medicine: Third Edition. Detoxification and Internal Cleansing. New York: Atria. Part of my job as a holistic nutrition consultant is to try to uncover the root cause of a health issue. But in most cases, by the time we're sick, we can't even remember what led up to that point, and we just want a solution ASAP. Trying to connect the dots can also make us crazy, because we'll never know for certain if one health issue led to the next. Still, I find it important to explore the possibilities in my practice, because discovering the root cause of an illness is going to lead to the quickest and most effective healing. One of my clients had chronic heartburn, was overweight, and had psoriasis. He was a workaholic and was popping TUMS nearly every hour. A few easy tests pointed to hypochlorhydria - low stomach acid. Since the symptoms of low stomach acid are similar to the symptoms of high stomach acid, and since the common wisdom is to treat high stomach acid, he turned to the TUMS, which made his problem worse. And, because proteins were leaving his stomach and passing into his intestines without being fully digested, his body was getting confused - a possible cause for the autoimmune psoriasis. By getting his stomach pH up to a healthy level and eliminating/rotating gluten (which is a long protein that can also confuse the body's immune system), he lost 20 pounds in just two weeks and has only had heartburn once in the past three years - after a weekend of eating bread, beer & pizza with friends. In my own case, I had a genetic predisposition for my autoimmune disease. But I never had a flare-up until I used the birth control patch (the pamphlet for which clearly stated that colitis was a reported but unconfirmed side effect). So in my case, the trigger for my illness was the birth control patch, but it was really just the last thing my body could handle - meaning that there was a haystack of other contributing factors beneath this final straw. This concept of "total load" can certainly make things confusing when trying to help heal bigger health issues. Me - before. Puffy! Ugh! I had never paid attention to what I ate, relying heavily on pizza and pasta. I drank beer, wine, cocktails - anything that would give me a buzz. I had a serious sweet tooth and kept bags of candy in my drawer at work. I had been on antibiotics at least ten times in my life, and had taken a multi-year course of acid-blockers. All of these contributed to the demolition of my GI tract, and all of them had to be eliminated, changed, or fixed in order for me to decrease the rampant inflammation in my body. I finally got to the point where my colonoscopy results showed no signs of disease, but it took a lot of trial and error and serious commitment. And, the truth is, I still have gut issues sometimes, and I'm still in the process of figuring out what causes them. My husband can vouch for the fact that I'm always trying new diets to figure out what works for me - and what doesn't. Three years ago I learned that I have a mild allergic reaction to red wine. Last year I did an elimination diet and its results were inconclusive, so this year I'm planning to try the Paleo, GAPS and/or SCD diets. In addition to helping me learn more about my body, this personal testing also helps me explain the benefits and drawbacks of each diet firsthand to my clients. So - how can you connect the dots? Ask yourself what was going on when your health issues first began. Consider your career, family, and other health issues. If there were other health issues or medications present, repeat the process for them. 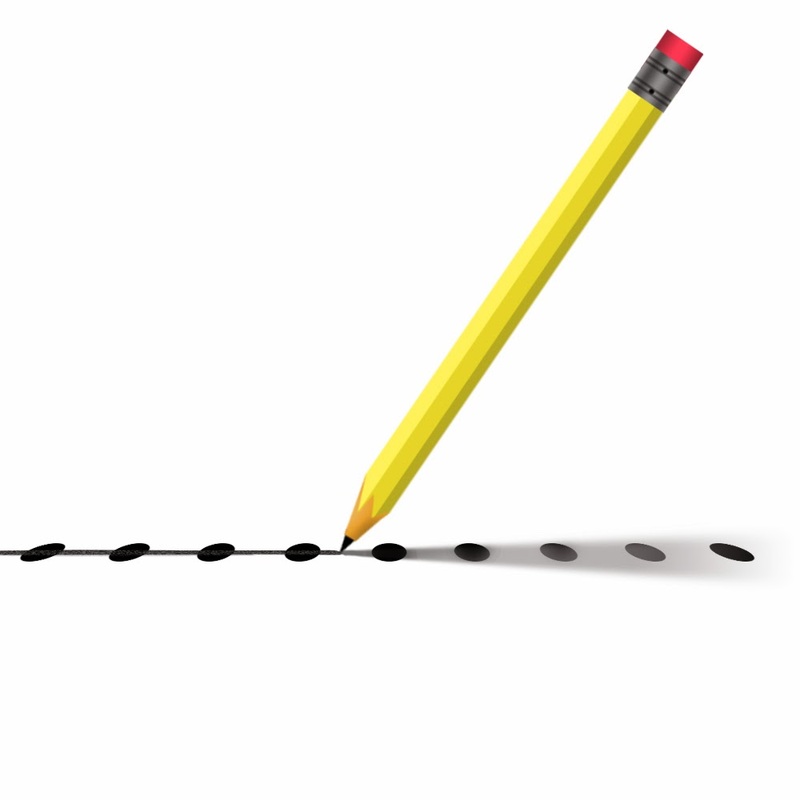 What was the first health problem you can come up with - the one that seemingly started the domino effect? See what comes up for you, and then let's talk about how to address the symphony of symptoms that is your own unique body.